Did you know that some other countries have stricter laws on food additives, drugs, and pesticides than the US? This is especially true with the European countries. It is especially aggravating to read that manufacturers sell foods with one set of ingredients in the US and a better set of ingredients in Europe. (Could it be because the FDA has such nice cozy relationships with Big Ag and lobbyists representing big chemical companies?) So... what can the ordinary person do? Read labels carefully. And try to buy as much organic food as possible, or buy from local farmers where you can find out how they are growing crops or raising animals. Avoid the following if possible for the next 2 years until companies can no longer have them as ingredients: benzophenone, ethyl acrylate, eugenyl methy ether (methyl eugenol), myrcene, pulegone, and pyridine. The following NY Times article lists some ingredients allowed in the US, but not the European Union: potassium bromate, azodicarbonamide (or ADA), BHA and BHT , brominated vegetable oil (BVO), various food dyes (yellow dye #5 and 6, red dye #40), and certain farm animal drugs - the synthetic hormones rBGH and rBST, as well as ractopamine. Not mentioned in the article is that the European Union also bans the use of arsenic in chicken feed and formaldehyde (both allowed in US), and olestra or olean (a fat substitute). Unfortunately this is just a partial list. One way to avoid problematic ingredients is to read labels and avoid foods with names that aren't real foods and that you don't know what they are. By the way, "natural flavors" are also laboratory concoctions - they're so pervasive in foods nowadays that they're tough to avoid, but one can try. From the "Ask Well" column by R.C. Rabin in the NY Times: What Foods Are Banned in Europe but Not Banned in the U.S.? Q. What foods are banned in Europe that are not banned in the United States, and what are the implications of eating those foods? A. 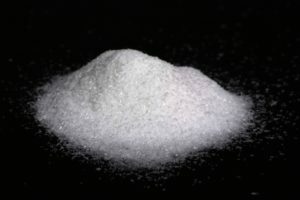 The European Union prohibits or severely restricts many food additives that have been linked to cancer that are still used in American-made bread, cookies, soft drinks and other processed foods. Europe also bars the use of several drugs that are used in farm animals in the United States, and many European countries limit the cultivation and import of genetically modified foods. ...continue reading "Food Ingredients Banned in Europe But Not USA"
New research is published every day, but only some studies are big research stories or game-changers. The following are what I consider some of the most memorable studies of 2018 – some in a good way, but some of the others have left me with a sense of horror. I think there will be follow-up research, so keep an eye out for more on these important topics. Are we heading toward a time in the not so distant future when all men are infertile? (Due to exposure to all the endocrine disruptors around us.) 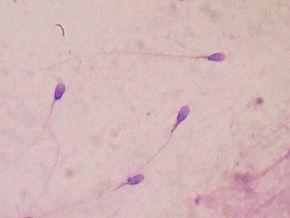 Will All Men Eventually Be Infertile? This was posted September 5, 2018. Researchers are now seriously investigating and finding evidence that microbes may be causing Alzheimer’s disease. This approach is rapidly finding support in the medical field, and may lead to possible ways to treat or prevent the disease. Possible Herpes Virus Link to Alzheimer’s Disease was posted July 13, 2018, and Herpes Viruses and Alzheimer's Disease on June 22, 2018. 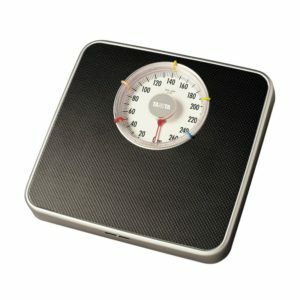 Type 2 Diabetes May Be Reversed With Weight Loss was posted August 10, 2018. This study and an earlier similar study from 2016 found that losing over 30 pounds over a short period can reverse type 2 diabetes - 46% in the 2018 study and 60% (in people who had it less than 10 years) in the earlier study. More and more evidence is accumulating that certain diets are anti-inflammatory. Especially beneficial are diets rich in fruits, vegetables, seeds, nuts, legumes (beans), and whole grains - which also have a lot of fiber. This is exciting research because chronic low-grade inflammation is linked to a number of chronic diseases (heart disease, cancer, etc.). Fruits, Vegetables, and Whole Grains Lower Inflammation – posted August 1, 2018. Magnesium Regulates Vitamin D Levels In the Body? Author SimaPublished on December 15, 2018 December 15, 2018 Leave a comment on Magnesium Regulates Vitamin D Levels In the Body? The results of a recent study by Vanderbilt University may help explain why some people have difficulty raising their low vitamin D levels - it may be that their magnesium levels are low. It appears that magnesium may regulate vitamin D levels - when vitamin D levels are low, magnesium supplementation raises vitamin D levels, and when vitamin D levels are high, magnesium supplementation lowers them to a normal level. ...continue reading "Magnesium Regulates Vitamin D Levels In the Body?" Published on December 15, 2018 December 15, 2018 Categories healthy living, nutritionTags magnesium, Vitamin DLeave a comment on Magnesium Regulates Vitamin D Levels In the Body? Once again a study finds health benefits from consuming a Mediterranean style diet - a diet rich in fruits , vegetables, whole grains, nuts, seeds, legumes (beans), olive oil, and fish. The US Women's Health Study involved almost 26,000 women who were healthy at the start of the study and were followed for up to 12 years. The researchers found that a higher consumption of a Mediterranean style diet was associated with about a 28% lower risk in cardiovascular disease events (heart attack, stroke, coronary arterial revascularization, cardiovascular death). Based on what they generally ate, they were classified as having a low, middle, or upper intake of a Mediterranean style diet. A new study by investigators from Brigham and Women's Hospital, Harvard Medical School, and the Harvard T.H. Chan School of Public Health offers insights from a cohort study of women in the U.S. who reported consuming a Mediterranean-type diet. Researchers found about a 25 percent reduction in the risk of cardiovascular disease among study participants who consumed a diet rich in plants and olive oil and low in meats and sweets. The team also explored why and how a Mediterranean diet might mitigate risk of heart disease and stroke by examining a panel of 40 biomarkers, representing new and established biological contributors to heart disease. ...continue reading "Mediterranean Diet and Heart Disease"
Pregnant women have been advised to keep their consumption of coffee and other caffeinated beverages (tea, sodas, cocoa, energy drinks), and chocolate containing foods to a minimum for decades. Currently the American College of Obstetrics recommends that women consume less than 200 mg of caffeine (from any source) per day during pregnancy. This is less than 2 cups of regular coffee or 4 cups of regular black tea. But a recent study's findings suggest that the levels should be kept much lower. 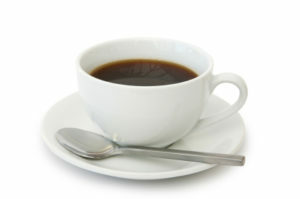 ...continue reading "Keep Caffeine To A Minimum During Pregnancy"
Eat Fruits And Vegetables Every Day! 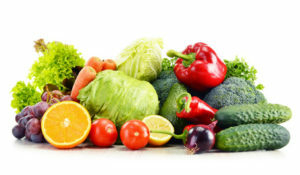 Author SimaPublished on November 25, 2018 Leave a comment on Eat Fruits And Vegetables Every Day! What was a high intake of fruits and vegetables? For vegetables: about 5.7 servings per day (while the lowest intake was 1.7 servings per day). For fruit: high intake was 3.1 servings per day (vs lowest intake was .5 servings per day). For fruit juice (orange juice): high intake was 1.5 servings per day (vs lowest intake was .1 servings per day). A serving of fruit is considered one cup of fruit or ½ cup of fruit juice. A serving of vegetables is considered one cup of raw vegetables or two cups of leafy greens. Eating leafy greens, dark orange and red vegetables and berry fruits, and drinking orange juice may be associated with a lower risk of memory loss over time in men, according to a study published in the November 21, 2018, online issue of Neurology, the medical journal of the American Academy of Neurology. ...continue reading "Eat Fruits And Vegetables Every Day!" 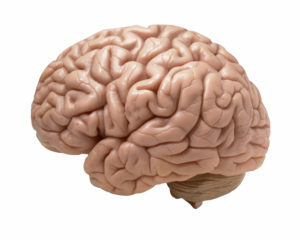 Published on November 25, 2018 Categories brain, healthy aging, healthy living, nutritionTags cognitive function, fruits and vegetablesLeave a comment on Eat Fruits And Vegetables Every Day! 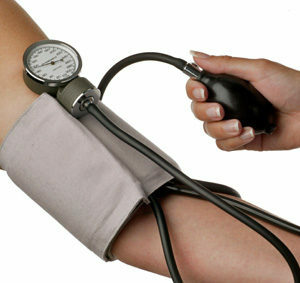 In the US and other developed countries it is generally accepted that blood pressure increases with age - that a blood pressure rise starts in childhood and that it's a normal part of aging. However, a new study found that this is not true - a South American rainforest tribe (the Yanomami) who do not eat a western diet (at all!) and have an active lifestyle, have the exact same blood pressure throughout life. This was true for all the individuals studied - from age 1 to 60. A nearby village of the Yekwana tribe have some western influences on lifestyle and diet, had the same low blood pressure in childhood, but showed increases with age. ...continue reading "Blood Pressure Doesn’t Always Increase With Age"
Whoa.... a recent study examined food microbiomes (community of microbes) of some foods and found that the foods contained many species of microbes - hundreds of species! The foods examined were a variety of masala spice mixes, cilantro, smoked salmon, cucumbers, and mung bean sprouts. Other studies have also found large numbers of bacterial species in all sorts of foods, including raw fruits and vegetables, cheeses, and fermented foods, such as kimchi. There are also bacterial differences between conventional and organic foods. No wonder it's good to eat a diverse diet - all those microbes that you're ingesting! A diverse gut microbial community in humans is considered healthy by researchers. The researchers (all associated with the US FDA - Food and Drug Administration) looked at the bacterial "species richness" (number of different bacterial species) normally found on the 5 types of foods. They used modern genetic sequencing methods to analyze the food microbiomes and found a LOT of bacterial species ("high bacterial diversity"), as well as species unique to the different foods sampled - whether animal or plant based foods. They found not only beneficial species, but also species associated with food spoilage. Every food had some bacteria that could eventually lead to food spoilage (which makes sense - eventually all foods can spoil). Also, how the food was handled and packaged, as well as moisture levels, influenced the bacterial species found in the foods. The masala spice mixes were especially rich in bacterial species (from from 968 to 1097) and in unique species (19), but the mixes also contained as many as 17 ingredients. Cucumbers had between 227 and 423 bacterial species, and 216 to 573 species for cilantro. Smoked salmon samples had fewer species - ranging from 89 to 181 species. An example of the diversity is that the cucumber microbiome is comprised of species within Proteobacteria (45 to 85%), Firmicutes (2 to 40%), Actinobacteria (8 to 31%), and Bacteroidetes (0 to 2%). I don't know if one can ever replenish all the bacteria lost from years of antibiotics (e.g. for sinus infections - both chronic and acute sinusitis), but this is a good reason to eat a variety of foods - for all the species of bacteria. These bacterial species are not found in general probiotic pills - one must eat the foods to ingest the variety and richness of microbes. The researchers wrote: "Once established, the most likely source of new microbes joining our GI microbiome is the food we eat: each food stuff and commodity we consume likely contains a microbiome that passes through our bodies while nutritional ingredients and components are digested." ...continue reading "Common Foods Contain Hundreds Of Diverse Bacterial Species"
Lower Cancer Risk By Eating Organic Food? Author SimaPublished on October 31, 2018 October 31, 2018 Leave a comment on Lower Cancer Risk By Eating Organic Food? A recently published study was good news for those who eat organic foods. The large French study (about 69,000 people) found a significantly lower risk of getting cancer (25% lower) in people who ate a lot of organic food - when compared to people who rarely or never ate organic food. The participants in the study were followed for an average of 4.6 years. Cancers with the greatest decreased risk were breast cancer (especially in postmenopausal women) and all lymphomas, especially non-Hodgkin lymphoma. What foods did the researchers ask about? They asked people about the consumption of 16 types of labeled organic food products: fruits; vegetables; soy-based products; dairy products; meat and fish; eggs; grains and legumes; bread and cereals; flour; vegetable oils and condiments; ready-to-eat meals; coffee, tea, and herbal tea; wine; biscuits, chocolate, sugar, and marmalade; other foods; and dietary supplements. In other words, all the foods we eat daily. Charles Benbrook: New study showing organic diets cut cancer risk is a big deal. Let’s treat it that way. ...continue reading "Lower Cancer Risk By Eating Organic Food?" Published on October 31, 2018 October 31, 2018 Categories breast cancer, cancer, nutrition, pesticidesTags non-Hodgkin lymphoma, organic foodsLeave a comment on Lower Cancer Risk By Eating Organic Food? It turns out that we're all eating tiny bits of plastic in our food. Yes, teeny tiny bits of plastic that are smaller than 5 mm and are called microplastics. Why are there tiny plastic pieces in our food? Is it doing anything to us, to our health? What can we do about it? After all, it's not normal or desirable to eat plastic. Every time we eat a meal we ingest any plastics that are in the food, as well as any plastic particles floating in the air that settle on our food and which we then ingest. One recent study found that about 80 to 100 pieces of tiny plastic particles are eaten over the course of each meal in this way! Currently no one knows what ingesting all these microplastics is doing to us, if anything. The research hasn't been done. However, there are questions and concerns, especially because toxic chemicals (carcinogens, endocrine disruptors, etc) used in plastic manufacturing are in the microplastics, as well as any contaminants that the plastics were exposed to in the environment. There may even be microbes (including pathogens) on the plastics. A recent study found that we excrete microplastics in our feces. 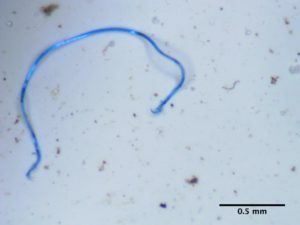 A 2017 United Nations report about microplastics and food safety said that while much remains unknown, microplastics in our food doesn't appear to be health threat: "It is thought that only the smallest particles (1.5 µm or less) will penetrate into the capillaries of the organs and the remaining will be excreted." and "Based on the available scientific evidence, it is safe to state that microplastics neither seem to pose a significant food safety threat and the health benefits associated with the intake of fishery products will exceed the potential risks.Nonetheless, there are many knowledge gaps..."
From National Geographic: Microplastics found in 90 percent of table salt ...continue reading "We Are All Eating Microplastics"